This post is a little late in coming largely due to successfully trapping a nerve in my neck leading to excruciating pain in my right shoulder which put me off spending too much time at a keyboard the past couple of weeks. Also, reading back on the original post I realised that despite the fact the article was posted at the beginning of August I had stated within it that I would be carrying out my experiment to write a novel within seven days between the 10th and 17th of July. This should have read as August and has now been corrected all be it a little late. So, is it possible to write a novel within seven days? The answer to that is yes. Was I able to write a novel within seven days? No! I assume you are now a little puzzled? Okay my reasoning for answering yes that it is possible to write a novel within seven days is that from time to time you will hear about authors who have done just that. I guess you are probably wondering why I didn’t manage to to succeed then? Well I think there is a fairly simple reason for that and it was a lack of planning. Bear in mind though that this was part of the experiment and that I had intended to write a novel of approximately 70,000 words in length but didn’t have an idea of what I was going to write. I simply wanted to see if it was possible. As it was I don’t think I did too badly especially when you consider that the first three days of the experiment were pretty much a failure. I had planned to start at 10 am on August (or July of you believe my original post) 10th. This was the first problem as I spent most of the day getting soaked through to the skin traipsing back and forth across town to sort some other things out that I had only been informed of late the previous day. However I did manage to get 1500 words written by the end of the day and was quite happy with what I had written. Unfortunately day two was less productive and despite the fact I was sat at the desk throughout the day I only managed to turn in around 1300 words. And it was day three that I realised that I had a problem. Despite being pretty happy with what I was writing I realised that as far as the experiment was concerned it wasn’t going to plan. I decided I needed to change tact. Rather than continue with what I had already written I spent the remainder of day three pondering different storylines and viewpoints and then I had an idea! The fourth day I sat down with a blank document open on the screen and began to type and by the end of day seven I had completed just over 40,000 words of the new novel. I can tell you now, I was certainly exhausted from the process. Whether this particular novel will see the light of day, I have yet to decide. There is still work to be done on it and it will need a good bit of rewriting. I very much doubt if it will see print with a traditional bricks and mortar publisher as I had intended though the reason for that is the content. Let’s just say its a little gruesome and goes one or two steps further than Aspects of a Psychopath. However, if one day in the future you come across the name Silas Caine in something that I have written then I would suggest you take a seat and buckle yourself in for the ride! As for the work I had initially started during the experiment it hasn’t gone to waste and has in fact found a home in the forthcoming Sam Wilde novel Mexican Dawn. 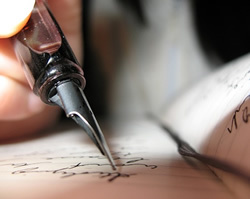 Whether I will attempt to write a novel in seven days again is anyone’s guess… perhaps if I’m coerced into it I might. In the meantime there’s plenty more to be getting on with.